Bakersfield plunged in the rating. "When economies are so reliant on natural resources like oil or water, external shocks can cause significant drops in a growth based ranking," the report said. 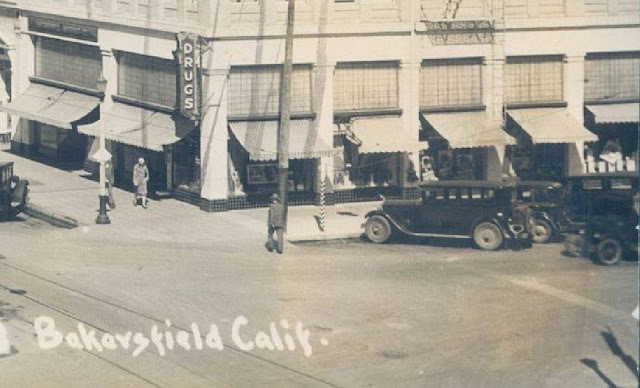 It continued: "In Bakersfield's case, it was affected by the contraction in the oil and energy sector and California's drought that only recently ended." * ... ROCK COBBLER: If you noticed hordes of bicyclists around town this weekend you can thank the annual Rock Cobbler, a torturous 80-mile race through the streets, foothills and mountains that is not for the faint of heart. 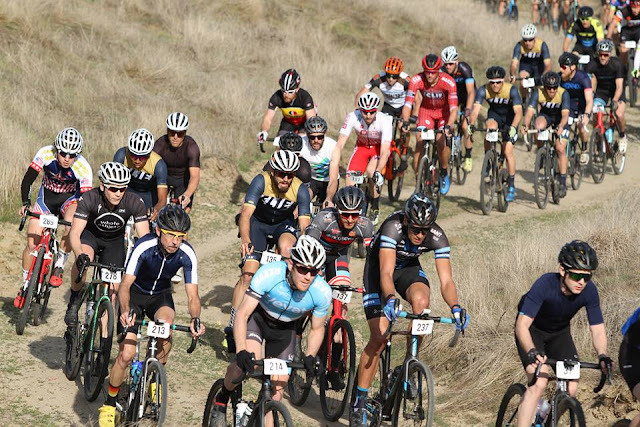 Organized by Sam Ames and Keith Barnden, the race attracted more than 320 riders who crossed through town, tackled the hills overlooking Hart Park and even detoured through the living room of a home off Panorama Drive. That's right, the course took the riders through a resident's back yard and right through his house. 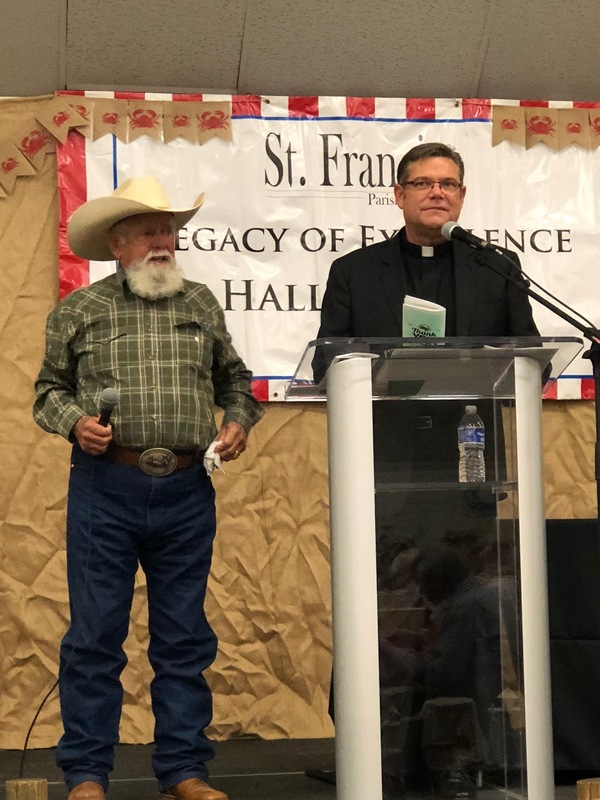 * ... CRABFEST: When it comes to fund raisers it's hard to beat the celebrations hosted by the St. Francis Parish and Monsignor Craig Harrison. Catholics, let's face it, know how to wean more milk from their flock. And this year's Crabfest was no exception, a huge event that drew hundreds to benefit the parish school operations. The dinner, featuring fresh crab, salad, potatoes and quite yummy dry rubbed ribs, honored Mike and Marcie Soper and long time teacher Shirley Ottenstein. Among those I spotted were Rep. Kevin McCarthy and wife Judy, Assemblyman Vince Fong, Mayor Karen Goh, Sheriff Donny Youngblood, former Assemblywoman Shannon Grove, District Attorney candidates Cynthia Zimmer and Scott Spielman, deputy DAs Gina Pearl and Kim Richardson, taxpayer's advocate Mike Turnipseed, Brian and Katie Kirschenman, John and Ginette Brock, Dr. Mark Root and wife Bernadette, George and Cindy Meek, Kim Schaefer, Robin Lake Foster, Jason and Laura Barnes, and too many to list here. But you get it: they know how to raise money for good causes. * ... IMBIBE: Imbibe Wine and Spirits held its 10th annual "top 100" wine tasting Saturday and a little known wine from the Suisan Valley near Napa took the top prize. 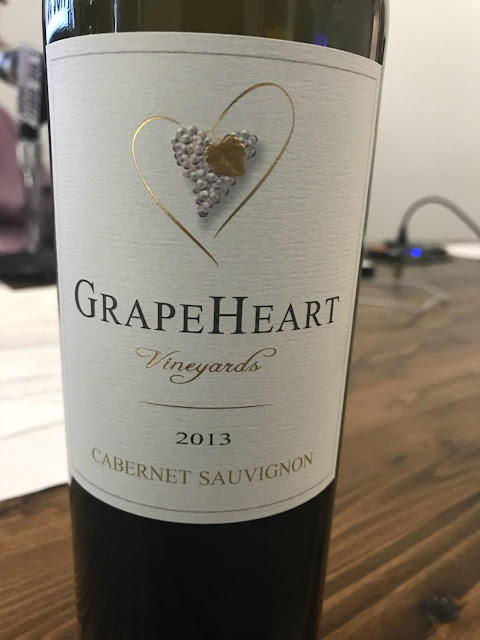 The winner: GrapeHeart Vineyards 2013 Cabernet Sauvignon. My other personal favorite: the 2016 Toloso No Oak chardonnay that sells for under $15 a bottle. * ... FOOD: For me, the best food in town is served at our locally and family owned restaurants about town. And there are plenty of them. 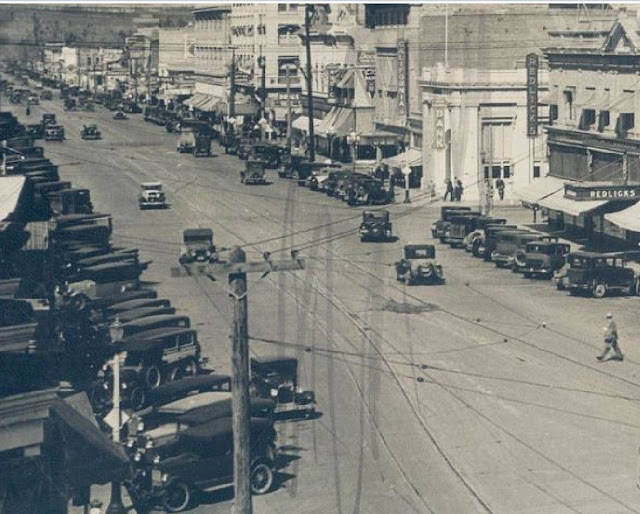 But perhaps nowhere in town are so many locally owned eateries clustered than downtown. Consider this: within a few square blocks you will find these family run restaurants, and they are all good: Muertos, Chef's Choice Noodle Bar, Mama Roomba, Jin Sushi, TOSSit salad bar, The Mark, Uricchio's Trattoria, Sequoia Sandwich Shop, Cafe Smitten and Bill Lee's. * ... 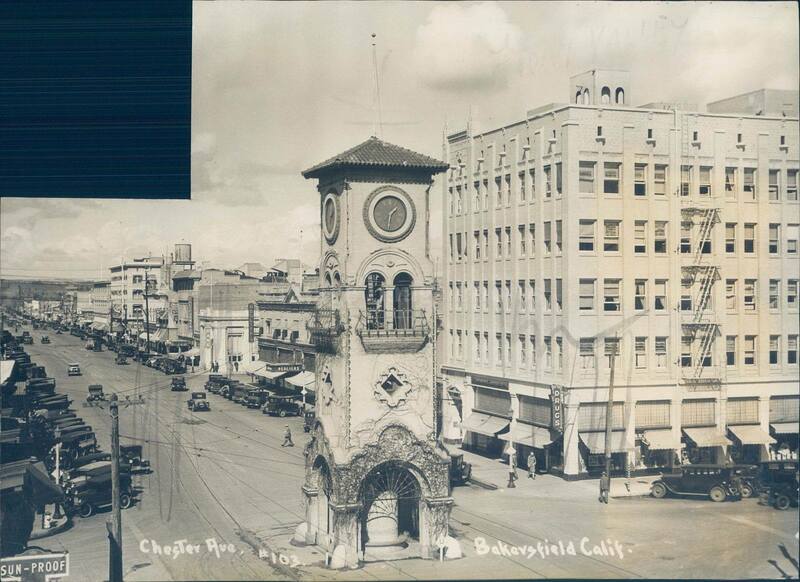 CLOCK TOWER: Check out these photos of the old Beale Clock Tower that once stood at Chester and 17th Street.